Fitness clubs thrive on memberships. Without them, the organizations sink. They’re like bars or restaurants. If you’re not getting the butts in seats, you’re sunk. Likewise, if your fitness club isn’t getting the butts on workout benches, you might as well close down. So needless to say, you want to provide a value to your club members, keeping them on for long periods of time, and nothing says loving for those who love to work out more than offering custom branded cooler bags as gifts! Listen: they may need to work out and show up, but it’s still a chore to come on in. Give them a reason to come on in. After all: they are paying for their memberships. Give them extra value, especially if it means more revenue for your business. Those custom branded cooler bags practically give your members reason to always show up and keep their accounts active. It’s also free promotional marketing as well, practically like word-of-mouth advertising, so the value’s instant. Immediate. 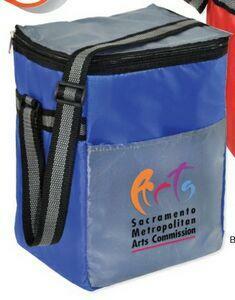 You buy those custom branded cooler bags in bulk, and the ROI is practically automated. Advertise. A free gift means a lot. They come in, they sign up, and your money’s made while they reap the benefits of long-lasting health, a session in the pool or hot tub, the stepper or climber, some free weights, and a nice, nifty custom branded cooler bag to boot. Custom cooler bags can actually apply to other industries and businesses, too, so go ahead and explore our site right here. We have plenty of styles available, and when you’ve found what you like aligned with your brand, contact us right away! Just don’t break a sweat doing it. Wait until you’re in the gym.